Piled high on a slice of poundcake, Grilled Strawberry-Basil Shortcakes takes your summer dessert on the grill to the next level. During the hot Alabama summer, we do everything we can to avoid heating up the house. 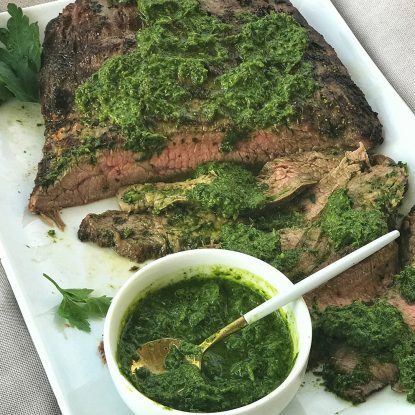 Whether that means from porch rockin’ in the breeze while sipping’ some lemonade or firing up the grill to cook our entire meal over the coals (or gas grates…less romantic, I know), we love getting creative and experimenting with new flavors. 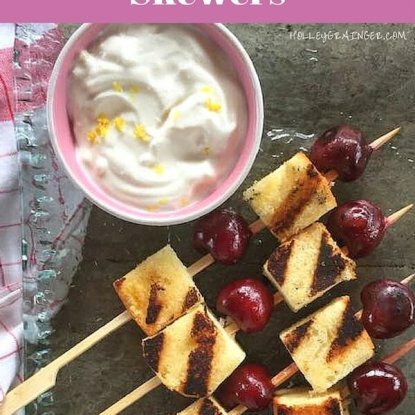 I recently started playing around with grilled fruit and fell in love with the way the fire and heat kisses the fruit just enough to enhance the naturally sweet taste. During this last month with the abundance of sweet California strawberries, we’ve grilled our fair share and eaten them as is or tossed them with balsamic vinegar and spooned over vanilla ice cream. At just 45 calories per cup (about 8 medium berries), there is no guilt when diving into this dessert. Plus, strawberries are naturally sweet but low in sugar (only 7 grams per cup), and provide a unique combination of essential nutrients, dietary fiber and health-promoting phytochemicals. 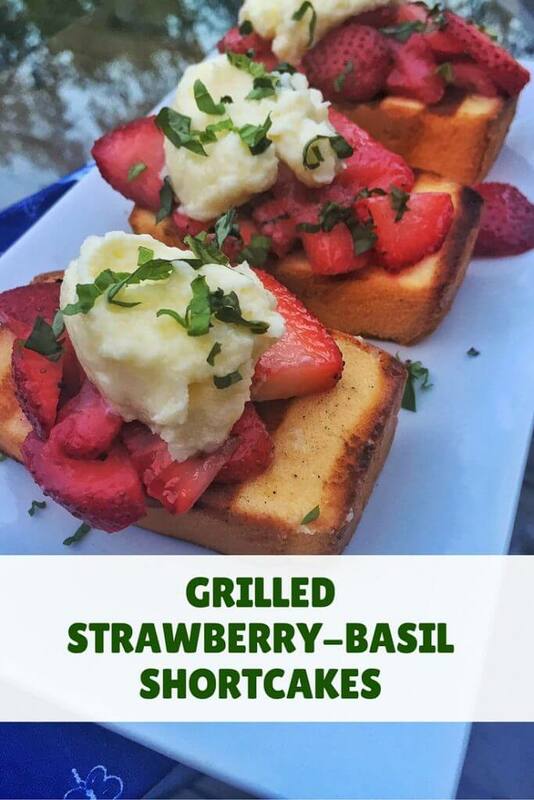 I also love thinly slicing juicy and sweet strawberries then tossing them with fresh herbs like basil or mint and topping on grilled cake like in this grilled pound cake recipe. The result is a delicious mix of flavors, temperatures, tastes and textures that yield a showstopping (and surprisingly simple) dessert. This year, I’ve partnered as a paid ambassador with California Strawberries to share exciting research and recipe around my favorite fruit, strawberries. 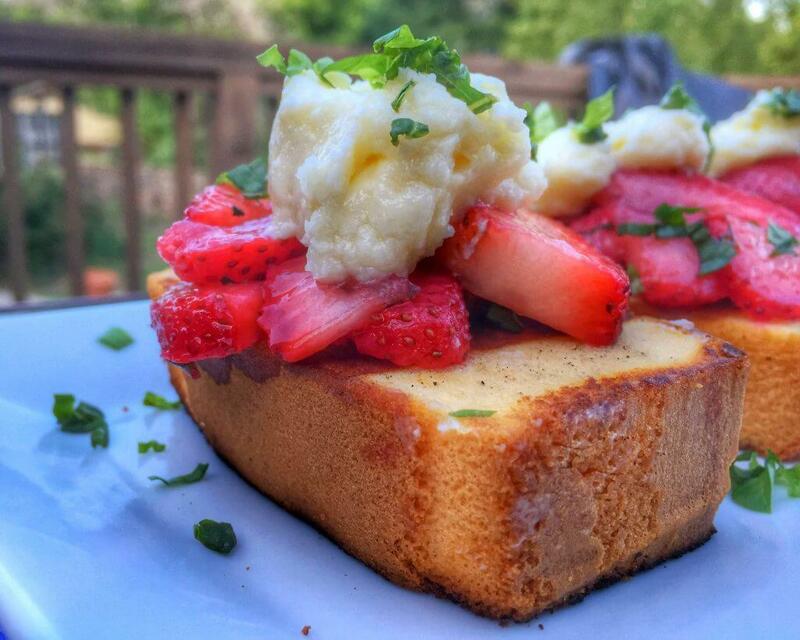 In fact, this month, they are featuring my Grilled Strawberry-Basil Shortcakes on their Heart of Farmers Blog. 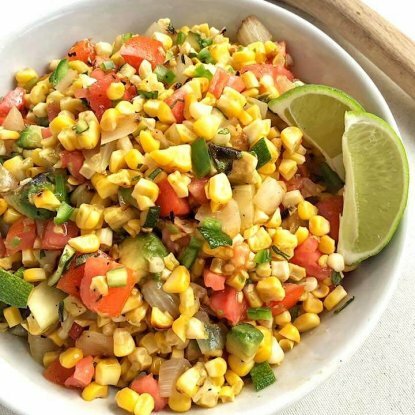 While you’re grabbing this recipe off the blog, make sure to learn more about the fun photo contest going on during the month of June for a chance to win a Canon PowerShot DSLR. All you have to do is share your #bestberryshortcake photo. So how do you like to eat your strawberries? Whether we layer them on a Sunflower Seed Butter and Strawberry Wafflewich, pack them in a lunchbox, or bake them into a galette, strawberries are always on the menu at our house.